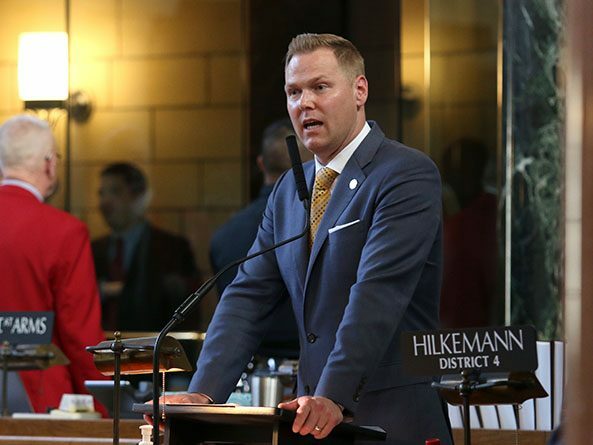 As introduced by Omaha Sen. Brett Lindstrom, LB610 would have allowed Nebraska taxpayers to claim a nonrefundable income tax credit for a matching contribution to an employee’s college savings account established under the Nebraska educational savings plan trust. A Revenue Committee amendment, adopted 30-0, would replace the bill. It would create a cash fund administered by the state treasurer to provide incentive payments to employers that make matching contributions to employees’ NEST accounts. 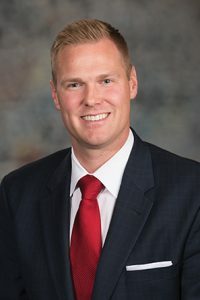 Lindstrom said the proposal is intended to help more Nebraska children attend college and to do so with less student debt. It also would be an additional benefit that companies could offer their employees, he said. Beginning in 2022, an employer could apply to the state treasurer to receive the incentive payments. An employer whose application is approved would receive an incentive payment equal to 25 percent of the matching contributions made during the preceding year, up to $2,000 per employee per year. The state treasurer could approve up to $250,000 in incentive payments each year, but Lindstrom said states with similar programs spend only $15,000 to $40,000 per year. “If we do get to the $250,000 cap, it’s probably a good thing because it means we have more kids going to college,” he said. Beginning in 2022, the state treasurer would determine the amount of incentive payments approved for the year and transfer that amount from the state general fund to the program’s cash fund. Sen. Anna Wishart of Lincoln introduced an amendment, adopted 29-0, that includes provisions of her LB547. Under the amendment, the state would match contributions to NEST accounts made on behalf of beneficiaries who meet certain income requirements. Participants would be eligible for the program if the beneficiary for whom contributions are made is part of a family whose household income is not more than 250 percent of the federal poverty level. Wishart said that equates to an income of approximately $67,000 for a family of four. The state would match the participant’s contribution if the beneficiary’s household income is between 200 and 250 percent of the federal poverty level. The match would be equal to 200 percent of the participant’s contribution if the beneficiary’s household income is not more than 200 percent of the federal poverty level. Matches would be limited to $1,000 per beneficiary per year. Wishart said postsecondary education is more critical—and more expensive—than ever. She said the proposed state match would encourage more low-income families to save for their children’s college education and help attract young families to the state. Beginning in 2022, the state treasurer would transfer from the state general fund to the program’s cash fund the amount necessary to meet matching obligations for the preceding calendar year, minus any private contributions received during that year. The treasurer then would direct the money in the cash fund to the college savings plan program fund for deposit into the appropriate accounts. The state treasurer could approve up to $250,000 in matching scholarships each year. Wishart said her intent is that no state general funds would be used for the program. State Treasurer John Murante has said the program can be funded using private donations and the treasurer’s current cash funds, she said. “I feel very comfortable with the fact that we will be able to manage this program without having any general fund impact,” Wishart said. Elkhorn Sen. Lou Ann Linehan supported the bill, saying research has found that having a college savings account leads to better educational outcomes for students. Sen. Patty Pansing Brooks of Lincoln questioned how the programs would be funded given the state’s fiscal constraints, including its obligation to help rebuild roads and bridges damaged by recent flooding. Senators voted 31-0 to advance LB610 to select file.